The Longo family was conservative. They taught their kids that “outside the cloister of the Witnesses, the devil was waiting.” Joe and Joy did not allow Christian to date — even after he turned 18. As a result, he left home a week after his 18th birthday. He married Mary-Jane, also a Jehovah’s Witness. He robbed a jewelry store he worked at and began using false names and stolen credit cards, even stealing a test car. He forged $30,000 worth of checks and then moved with his wife and three children — all born between 1997 and 1999 — from Michigan to Ohio. As authorities pursued him due to his criminal activities, he stole a van and moved his family once again to Oregon. Knowing he was about to be caught by authorities, he drowned his wife and 3 children in different Oregon rivers in December of 2001. He justified this in his mind with the idea that he was “sending his family to a better place.” Christian then fled to Mexico. He was placed on the FBI’s Ten Most Wanted Fugitives list in January 2002. In Cancun, Mexico, Christian once again used a false name, though this time the name of a real person — Michael Finkel, a writer for the New York Times. A few weeks later, on January 14, 2002, he was arrested. 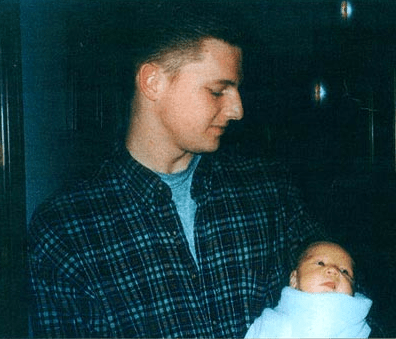 In 2003, Christian was convicted and sentenced to death. He is still on death row. Michael Finkel, the man Christian impersonated, wrote a story about him for Esquire in 2009. A movie is currently being made about Christian Longo’s life, starring James Franco and Jonah Hill. James Franco will be playing the role of Christian.